I spent a lot of time considering that line, being sure not to say “too big” or “wrong size” or even “the perfect size”. However, I never expected this polarization would play out so explicitly in my little microcosm of the universe. 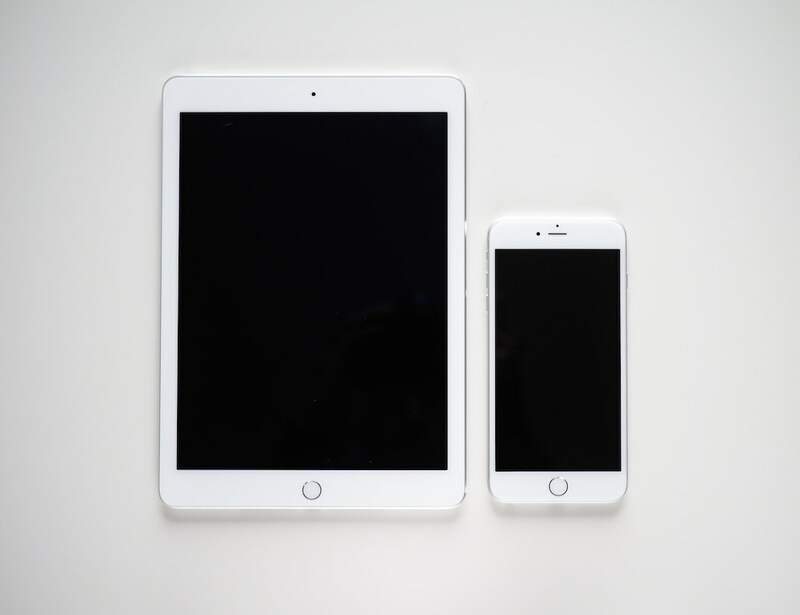 Many people wonder whether the iPhone 6 Plus could replace the iPad in their technological toolbelt. I wondered the same thing. 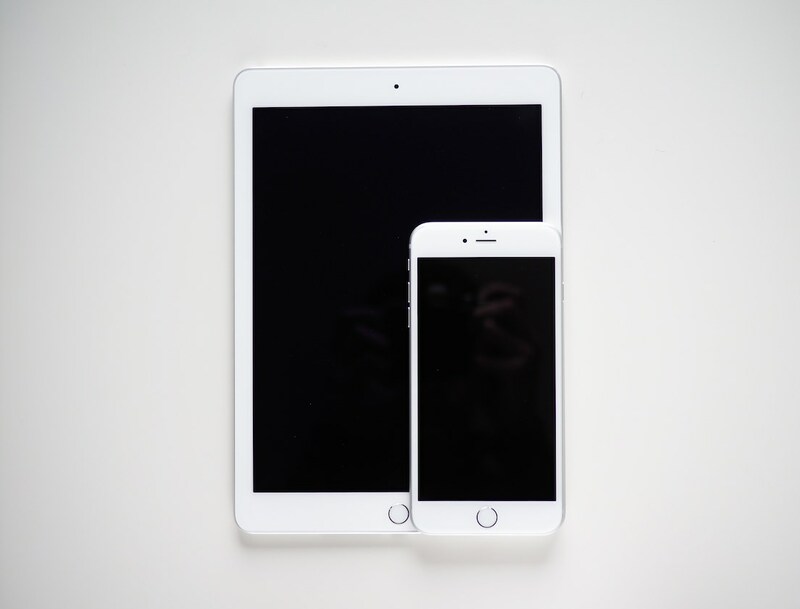 But after a solid seven weeks of using the iPhone 6 Plus and a month after purchasing an iPad Air 2, I’m more convinced than ever that both devices still play their role. I use my iPad more than my iPhone (ironically), and the little improvements to the iPad make it more useful than I could have ever imagined. I’ve tried to keep track of my device usage over the past few weeks to more fully hash out my thoughts on the two devices. Again, these are all my own subjective thoughts, but hopefully it can help answer a few questions. My iPhone is my Twitter device, bar none. The 16:9 screen handles lists and vertical columns of text better than any device I’ve ever used. By scrolling through a list with my thumb, the readable screen real estate above my thumb makes the 6 Plus a dream to use for one-handed reading. Further, the 16:9 screen makes the iPhone 6 Plus the best iOS device for the Digital AV Adapter. I choose to hook up my 6 Plus directly to my TV via the AV Adapter and the 16:9 screen means I have no letterboxes during hockey games. Moreover, I can use my iPad on the couch like it was meant to be used. Rick Stawarz mentioned in his article Returning the iPhone 6 Plus that two-handed typing on the 6 Plus isn’t any faster than two-handed typing on smaller iPhones. He’s exactly right. Typing isn’t any faster. What is improved, however, is the accuracy of your typing. I hit the backspace/delete key far less than ever before. I don’t necessarily hammer out texts any faster, nor do I enjoy typing long-form content with my iPhone, but my accuracy on the touch screen is much improved over previous iPhones. The real time (instead of nominal time) it takes for me to send a text has shortened drastically. Not enough apps are taking advantage of the 6 Plus’ split-view lanscape options. I’ve downloaded specific apps (like Twitterific and Pinner) solely for the sake of landscape use. And, believe it or not, the 6 Plus in landscape is a pure joy to use, especially when laying flat on your back in bed. Landscape typing is still a disaster, but scrolling with a thumb on the right and navigating on the left is a truly empowering way of using the iPhone. I will beg and plead for developers to adopt this split-view landscape option heading into the future. 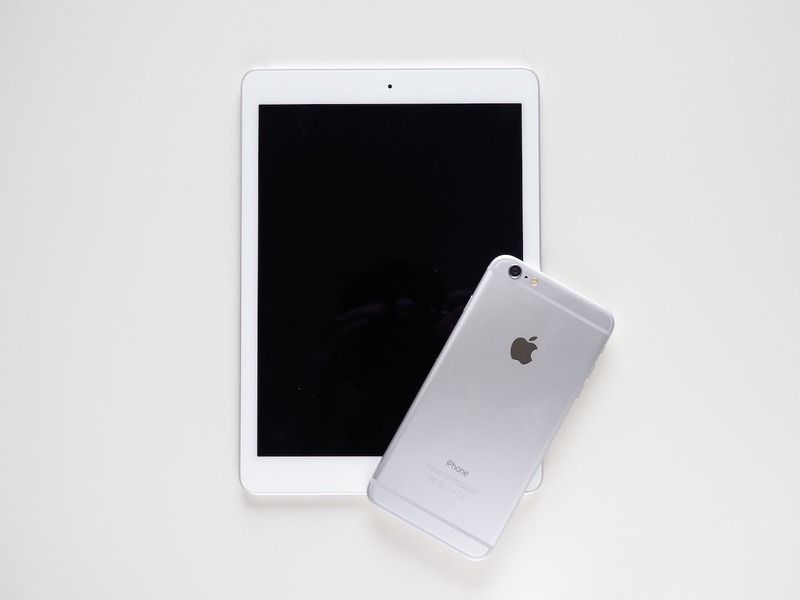 The iPad Air 2 is faster than I originally gave it credit for. It utterly puts the 6 Plus to shame. Flipping between apps and waiting for apps to exit their frozen states is faster than ever before. The added RAM and extra processor core are simply phenomenal and deserve more praise than I originally dished out. The Air 2 definitely seems to have a diminished battery life. I use my iPad more now that it’s so zippy, but there are days where my 6 Plus’ battery will outlast the Air 2’s battery. I’m not sure which battery that speaks more about, but it’s worth noting nonetheless. The iPad is the superior device for short-form communication. Texting someone with a physical keyboard on my Mac is a lesson in backspacing and rethinking — I can type as fast as I can think, and that presents problems in communicating with people. The 6 Plus generally demands two-handed typing, so if I must dedicate two hands to communication, I choose to type two-handed on the iPad. Plus, with the iPad’s improved app launch speed, launching Messages, firing off a text, and getting back to work is faster than ever before. The Air 2’s laminated screen is definitely a major improvement over the original Air, but it’s not as big a deal as I originally thought. At the end of the day, the usability of the device hasn’t changed as a result of the screen. Colours remain the same and sharpness is the same as previous generations. The biggest improvement is the elimination of that plasticky feeling of the original Air. My last major point deserves to be outside of this bulleted list. No matter how we slice it, the iPad and iPhone will always play different roles — they still have different apps with different interfaces. Even though Tweetbot exists on both the iPhone and the iPad, I choose to use Tweetbot on my iPhone because the interface is more suited to a screen of that size. Conversely, I can’t stand GTD apps like Omnifocus on my iPhone — Omnifocus’ general theme is more suited for the iPad’s larger screen. And, without a doubt, the iPad is the greatest gaming device on the planet right now. So while the iPhone 6 Plus may have been coined a “hybrid device”, I don’t think the truest form of “hybrid device” will be reached until all apps are universal. Sure, the iPhone 6 Plus has a split-view controller. But, at the end of the day, apps are still classified as iPhone-only, iPad-only, and universal. Apps swing one of three ways, and how we use them can’t yet eclipse the trifecta. If you find you use a specific app on the iPad or you use the iPad for a specific purpose, I’m willing to bet the iPhone 6 Plus won’t wholly replace the iPad in your workflow. Differences in app interfaces and uses will cause conflict in a transition from an iPhone/iPad workflow to an iPhone-6-Plus only workflow. Despite the likeness in screen size, the iPad mini still utilizes iPad apps, and therefore maintains its utility. One day I’ll have the discussion (again) about the iPad’s cannabilization of my Mac’s usage patterns. I’m not a die-hard iPad-only geek, but I’ve naturally swung that way in my most casual computer usage. If anything, the one device you won’t be able to rip from my cold, dead hands will be my iPad. Now, back to work. I have some Vainglory to play.